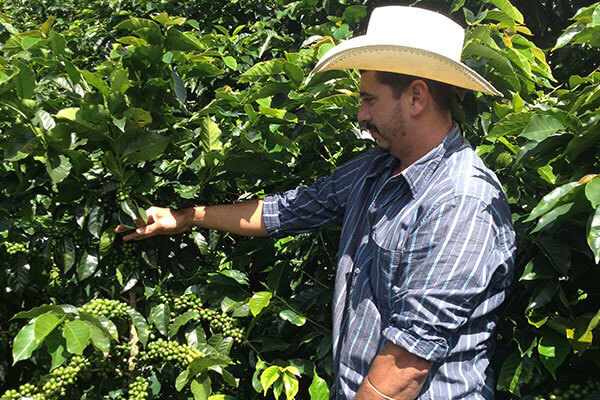 Felton Jones works directly with El Terrerito Farm owner, Al Lopez, to review coffee plants. Each coffee plant takes around 3 — 5 years to grow and produce coffee cherries. Once the cherries grow, they take an additional 9 months to become ripe. Coffee from El Terrerito Farm offers a bright, lightly fruity taste profiles with a very clean finish that doesn’t linger. Picked at ripeness and sun-dried on a cement platform, coffee cherries at El Terrerito Farm are the apexes of coffee quality. PJ’s Coffee is honored to adopt El Terrerito Farm in Honduras. By adopting El Terrerito Farm in Honduras, PJ’s Coffee is committed to doing business in ways that are good for the planet and each other. Not only are we serving a great cup of Honduran coffee to customers, we’re developing programs to ensure the quality of life of Honduran farmers is improved. We’re proud to call El Terrerito part of our family. Proceeds of every French Roast coffee purchase directly impact El Terrerito Farm in Honduras. We are committed to giving back to the people of Honduras through community initiatives and supporting local school programs. We’re proud to call El Terrerito part of our family and minimize our environmental footprint.